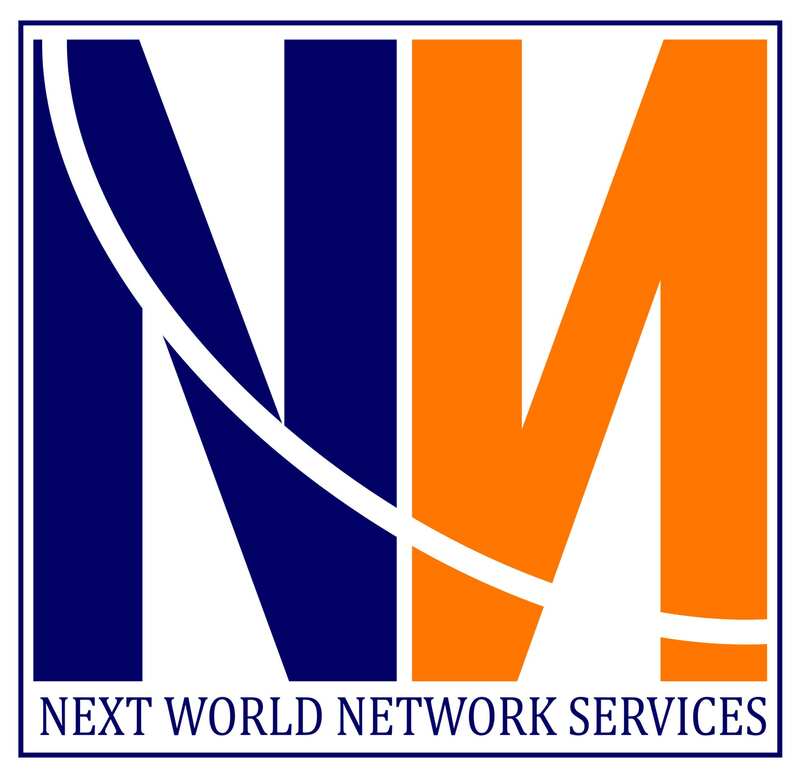 At NWNS, we are constantly applying and integrating new innovations in hardware, software and even financing and distribution to build smart technologies and comprehensive solutions. Together with our partners we have created and combined hardware and software to bring high quality power solution to off-grid locations. NWNS solutions are designed and implemented to answer all needs in the field where power in-stability is a mission critical problem. If connection to the grid isn't a viable option, you may want to consider investing in an off-grid system. Not all solar systems require batteries. Battery back-up is smart in regions that can suffer from severe weather, which are off-grid or with an unreliable power grid. NWNS can help you finding out when you need to add batteries to your system (and when it makes sense to skip them), we can help you selecting the right type of battery and we can help you sizing your battery bank so that you don't under- or overcharge your batteries. Eventually it is all about making sure your power back-up does do what it has to do and to preventing you from potentially shortening the batteries life-cycle. Moreover, if you don't have enough battery capacity, you will run out of power and end-up using a lot of (expensive) generator fuel. On the other hand, buying too much battery capacity can be a waste of money because there is no need for it. And to fully recharge your battery bank will cost you unnecessary extra power = recurring cash loss. Every battery type has a different purpose and use case. And there are many many battery options. It is very common for people to make selection and design mistakes and this can affect system performance and the lifespan of the battery. Therefore, allow NWNS to assist you in making the right choices. It will prevent you from disappointments and it will safe you serious money over time. Savings that can be calculated and quantified upfront. Click here if you are interested in NWNS's Battery Back-up, Design & Selection Service. If you are not an expert, professional assistance may be cheaper than "doing it yourself. It is commonly known that batteries come in many shapes and sizes. In the solar industry (which is NWNS's prime focus), two battery chemistries work well for the purposes. Lead-acid and lithium. Lithium (LFP) is the premium option, with a longer lifespan and fewer maintenance requirements. LFP batteries are 95-98% efficient and expanding an "old" LFP bank is typically not much of a problem. Lithium DoD is 80%. Lead-acid costs much less up front, but regular check-ins are required to keep the battery bank working properly. Lead acid batteries are 80-85% efficient. Expanding an existing old lead-acid bank or replacing individual batteries can be difficult or even not possible. Lead-acid DoD is 50%. You’ve got flooded lead-acid and sealed lead-acid batteries also known as VRLA (Valve Regulated Lead Acid). The latter group can be broken down into AGM (Absorbent Glass Mat) and gel batteries. For many years, the flooded lead-acid battery has been the standard in the solar industry. Such batteries are meant to be mounted upright so it does not leak. While flooded lead-acid is the most economic battery on the market, it will only reach its potential lifespan (3-5 years) if they are maintained frequently and properly. Moreover they release toxic hydrogen gas when charging. The sealed lead-acid batteries are very similar to the flooded version but can be mounted in any orientation without fear of them leaking. You sometimes see these referred to as VRLA (valve regulated lead-acid) batteries, because they have a small valve to allow for the escape of the gasses that occur during charging. Sealed batteries allow for a more relaxed maintenance program. Absorbent Glass Mat (AGM) batteries are the most popular VRLA battery because they can work in a wide range of conditions. Downside is that they are more expensive and do not last quite as long as flooded lead-acid. They are a good fit for remote locations where maintenance will not be possible on a regular basis, and places where the batteries could be subject to extremely cold temperatures. Moreover, AGM batteries are resistant to vibration, which makes them a great choice for mobile applications. Gel batteries are another VRLA battery very much like an AGM. The main difference between gel and AGM batteries is the charge rates. AGM batteries can handle higher charge and discharge rates than gel batteries. Gel batteries are the most costly of the VRLA batteries, but excellent candidates for projects that need a very slow deep discharge. They also last a bit longer in hotter temperatures, so we might pick them if you are concerned about high ambient temperatures in the space where the batteries are enclosed. Lithium Iron Phosphate (LFP) are more expensive, but there are several benefits to justify the higher price tag. Benefits such as longer lifespan (10+ years), no maintenance, more efficient power usage, deeper discharged and no need for ventilation. Amp hours [Ah] is a measurement of how much current batteries output over time. Cycle: Every time a battery is discharged and then recharged. Cycle life is the number of cycles over the course of its lifespan. Cycle life is heavily affected by Depth of Discharge (DoD). Depth of Discharge [%] is the amount of energy pulled out of a battery during each cycle. Efficiency: Batteries are simply not 100% efficient. The best way to explain is via example: Assume your source is 1 kWh of power and your battery's efficiency is 80%. Then your battery can only store 0.8 kWh. Absorption Time: The amount of time the battery is held at bulk voltage. This time period allows the battery to full recharge. Understanding how to size a battery bank can sometimes be complicated. The size of a battery bank very much depends on how much power (kWh) you will use or want to use on a daily basis. This is called your power profile. The result of the calculation is a battery bank capable of storing that much power after accounting for efficiency, DoD, ambient temperature and a few other things. A reliable battery bank with a long life span requires a good working battery charger with temperature compensation to prevent the system from chronic undercharging. The NWNS Battery Management System (BMS) monitors and protects the battery, keeping track of the state of charge, charging parameters, faults and data logging. Batteries play an essential role, usually as a source of standby power. To ensure those batteries deliver their full performance when called upon to do so, you must rely on a regular testing regime. This is why a regular broad-based maintenance schedule is required to ensure standby batteries (when required) operate as expected. Over 85% of back-up power failure accidents (including UPS) are associated with battery problems (Source: EPRI - Electric Power Research Institute, USA). If one battery in a bank is defective, the string of batteries in series will not work. A battery is defective when it has a higher than specified internal resistance. It is believed that a small percentage of newly installed batteries are defective without users knowing this. Batteries that have been kept in storage for a long time may show an increased internal resistance. As a battery ages, it may corrode, sulfate, dry out, or deteriorate in many other ways, depending on maintenance, chemistry, and usage. There are, of course, other problems that can affect the performance of a battery bank. It has been stated, for example, that loose inter-cell connectors cause around 50% of the failures in battery banks. The connectors loosen because of the heating and cooling that takes place during charging and discharging. Upon physical installation of the battery (bank), one of our engineers installs our unique monitoring tool and thoroughly tests the individual batteries followed by the entire system. We keep extensive record of the results which are first compared to suppliers specifications. The records are uploaded to our secured database and made available to the customer via customer's individual web portal and via an app that can be downloaded and installed on a smartphone. As of day one we start monitoring the health of the battery bank against its environmental conditions. The system generates an alarm when the internal resistance shows a 30% increase for a pre-defined period of time. NWNS will check with the customer if a follow-up maintenance visit is desired or required. Note: IEEE 1188-2005 recommends quarterly maintenance of batteries. Until recently this was an expensive exercise because it had to be scheduled and an engineer had to visit the premises. Very often it was forgotten about or postponed until the next hard outage. Such an inconvenience. Our unique monitoring tool can be installed anywhere and does NOT require Internet access hence it cannot be hacked. It is very low cost, reliable and perfectly designed for monitoring battery banks installed in harsh and/or remote locations. A physical maintenance visit may very well provide useful information, but a series of tests carried out over a period of time will not only provide much more information, but will also make that information vastly easier to interpret. A sudden change in a test result that has previously remained almost constant, for example, immediately suggests that further investigation is desirable, even if both the old and new values in isolation would be considered as falling within the acceptable range. At first sight, monitoring the condition of batteries may appear to be a complicated undertaking. However, if the testing regime is properly planned and split into simple tasks that can readily be carried out with modern instruments such as our monitoring tool, the overall effort and inconvenience are small and the cost savings enormous. How much can be saved depends on the individual situation. Please allow NWNS to understand your situation and calculate your potential savings. We are happy to do this in a transparent way without imposing any further obligations. Visual inspection — A visual inspection locates cracks, leaks, and corrosion. You can find these problems before they become catastrophic failures; however, visual inspection says nothing about the string’s state of charge (SOC), capacity, or state of health (SOH). Visual inspection is executed by an individual during the time of installation and physical maintenance. Float current — A high float current could be a precursor to thermal runaway. It could also indicate a short circuit/ground fault or be a sign of a high float voltage. Incorrect float current, once again, shows that something is wrong. But if the float current is correct, it says nothing about capacity or SOH. Ripple current — Excessive ripple will cause internal heating of batteries. Ideally, ripple current should be less than 5A for every 100Ah. However, ripple current says more about the state of the charger than the battery. Ripple current does not provide any information about SOC, capacity, or SOH. Temperature testing — Temperature is critical for batteries, as high temperatures reduce battery life. Temperature testing provides no information about SOC, capacity, or SOH. Regular measurement of the battery’s operating temperature is invaluable, because high temperatures invariably lead to premature failure. As a rule of thumb, battery life is halved for every 10°C increase in temperature. This means that a battery with a rated life of 20 years, which is operated at 30°C rather than 20°C, will only have a life of 10 years. Specific gravity measurement — A specific gravity measurement reads the ratio of the density of a liquid to the density of water. Specific gravity measurements in batteries indicate how much sulfate is in the electrolyte, providing information about the SOC, but not capacity or SOH. This test only applies to specific types of batteries. Impedance testing — An impedance test does not measure the capacity of the battery, but it is an indicator of the SOH of the battery and therefore a critical test. (Limited) discharge testing — Discharge testing is the only form of test that will determine the actual capacity of the string, but not necessarily the SOH. Note: IEEE standards recommend that discharge testing be performed at the time of a battery strings installation and then every two to five years after that, depending on the age and capacity of the string. For complete discharge testing, the battery must be taken out of service for the duration of the test. One way of addressing this problem is to carry out limited discharge testing, which involves discharging the batteries by up to 80% without taking them out of service. This yields results almost as accurate as those provided by carrying out a 100% discharge test.